You are at:Home»iPhone»Photos»Camera Format Changed To High Efficiency On iPhone? The Fix! You were using your favorite app when, all of a sudden, your iPhone said “Camera Format Changed To High Efficiency”. This is a new iOS 11 feature which slightly lowers the quality of your iPhone photos to save on storage space. In this article, I’ll explain why the camera format on your iPhone changed to high efficiency, what the benefits of high efficiency format are, and how you can change it back! Why Does It Say “Camera Format Changed To High Efficiency” On My iPhone? High Efficiency: Photos and videos are saved as HEIF (High Efficiency Image File) and HEVC (High Efficiency Video Coding) files. These file formats are slightly lower quality, but will save your iPhone lots of storage space. Most Compatible: Photos and videos are saved as JPEG and H.264 files. These file formats are higher quality than HEIF and HEVC, but they’ll take up significantly more storage space on your iPhone. How Do I Switch iPhone Camera Format Back To Most Compatible? 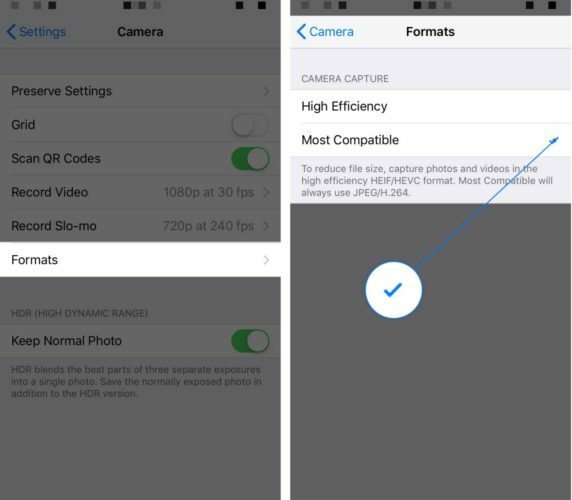 If it says “Camera Format Changed To High Efficiency” on your iPhone, but you want to change your photos and videos back to Most Compatible format, open the Settings app and tap Camera -> Formats. Then, tap Most Compatible. You’ll know Most Compatible is selected when there’s a small check mark next to it. Which Camera Format Should I Use On My iPhone? The type of pictures and videos you take and how often you take them will help you determine which camera format is best for you. If you’re a professional photographer or videographer, you’ll probably want to choose Most Compatible format because your iPhone will take higher quality images and videos. However, if you just like taking pictures of your cat for your own enjoyment, I’d recommend choosing High Efficiency. 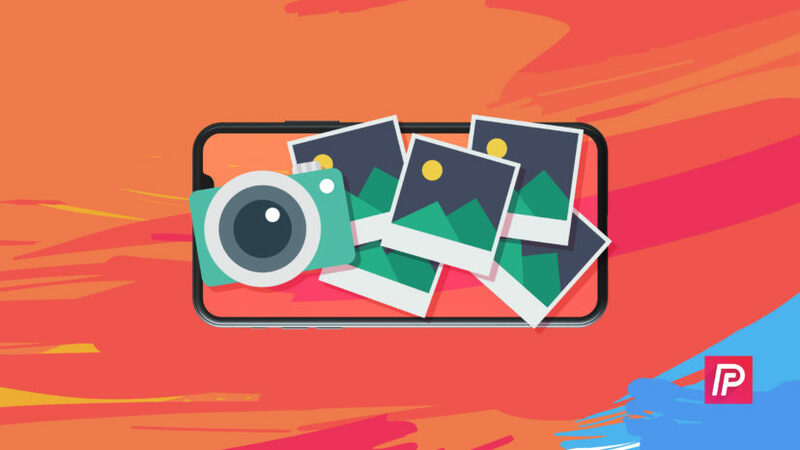 The pictures and videos are only slightly lower quality (you probably won’t notice the difference), and you’ll save a lot of storage space! Now you know why your it says “Camera Format Changed To High Efficiency” on your iPhone! I encourage you to share this article on social media to teach your friends about the different iPhone camera formats. If you have any other questions about your iPhone, leave them in the comments section below! Previous ArticleiPhone Status Bar Missing? Here’s Why & The Fix! Next Article How To Download Apps On Apple Watch: The Complete Guide!